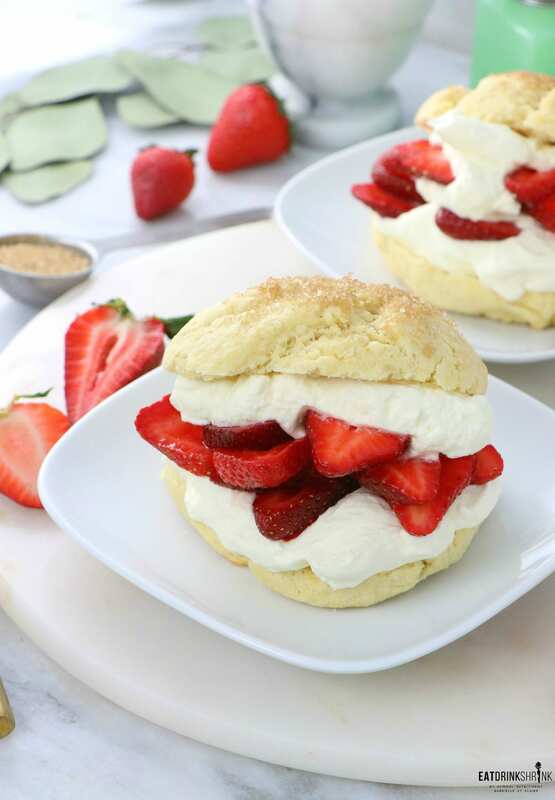 Vegan Strawberry Shortcake - Eat. Drink. Shrink. 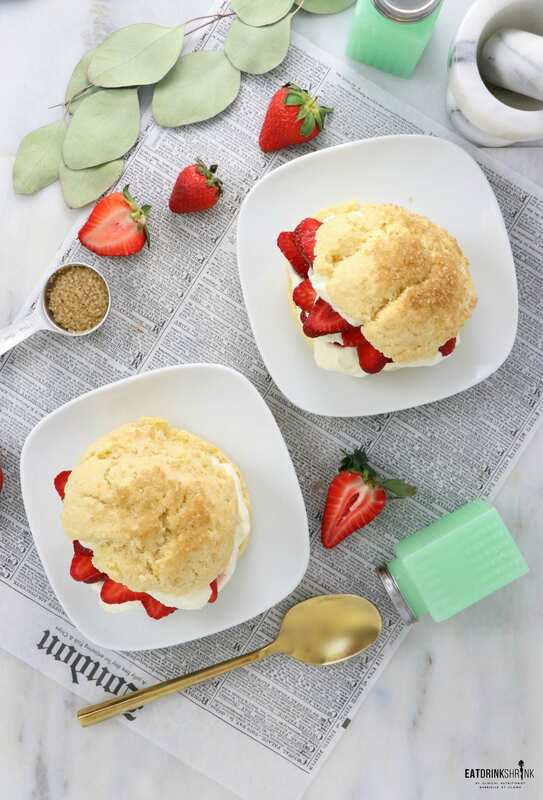 As a Georgia native, there are a few southern staples that I’ll always have an affinity for, one of them is Strawberry Shortcake!! 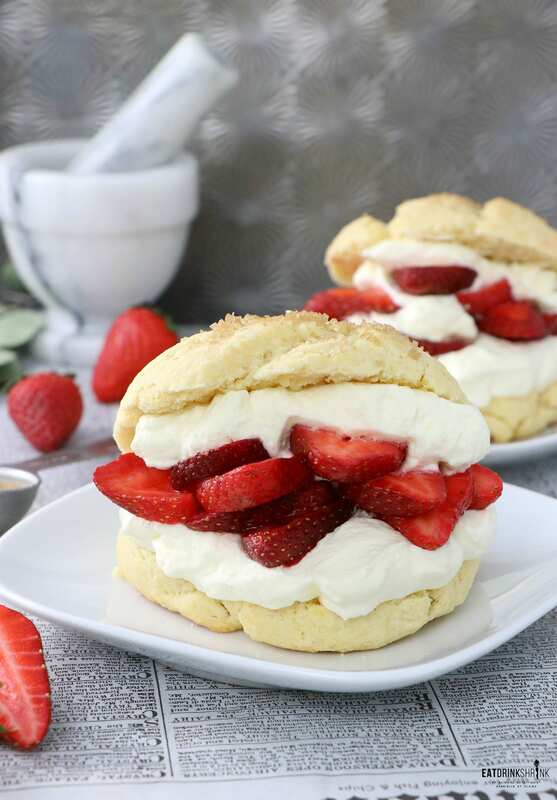 While many variations of this recipe have come over the years, this classic dessert is typically biscuit based with fresh strawberries and whipped cream. Whether it be the simplicity in it’s components, that it’s fruit forward, not overwhelming to the tastebuds, features biscuits which add another texture, I’m just all about it! 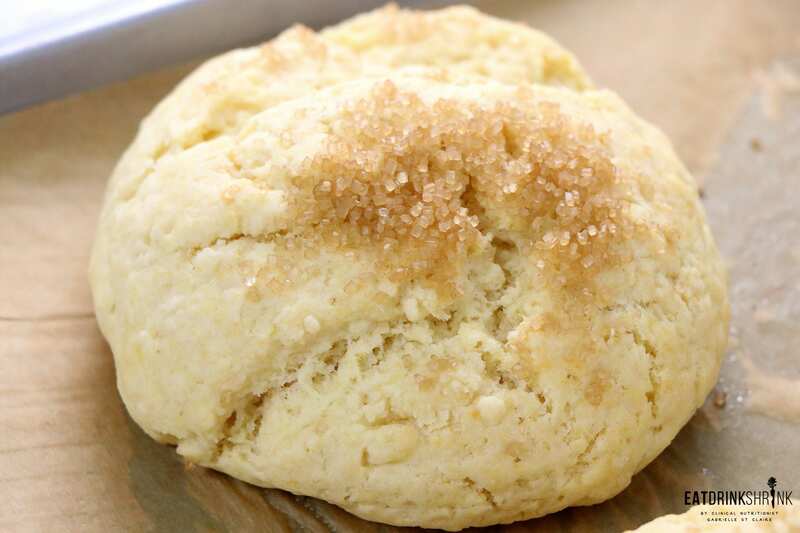 While biscuits can seem involved or time consuming, they are far from it. It’s literally a handful of ingredients, butter and almond milk, and a lil baking time. I personally love combining something hot and cold with a dessert and the biscuits are one of my favorites. You can easily recreate this dish and mix up the fruit to cater to the season and your preferences. Wanting to reduce the time for this recipe?! You can buy vegan whip cream!! What’s fab about this dish, is everything. 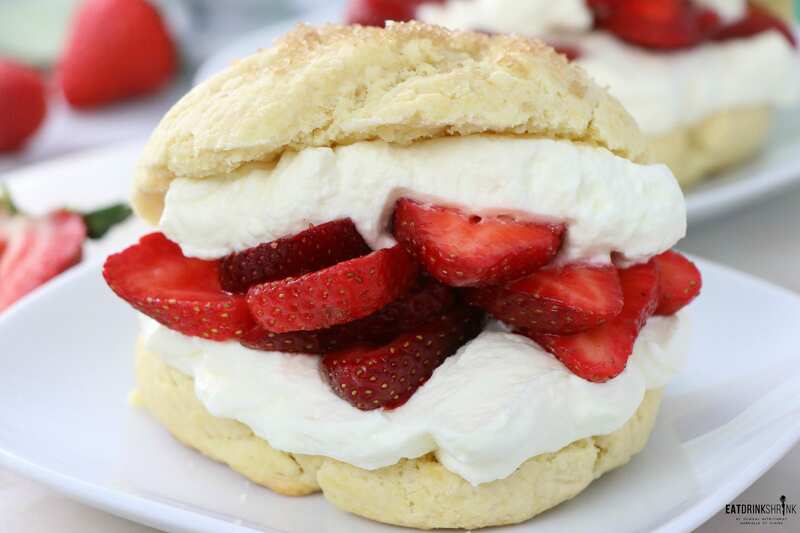 The biscuits maintained a buttery soft texture, didn’t even need a vegan egg, the coconut whip is dairy free and the perf substitute for traditional whip, the strawberry mixture has reduced sugar with the majority being derived from the fruit, you can switch up the fruit to cater to the different seasons, it can easily be made in bulk and perf for your next spring or summer gathering! 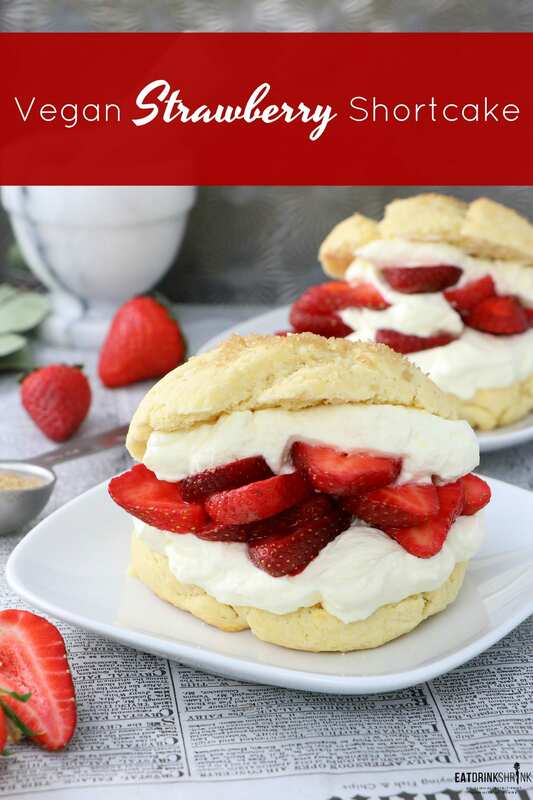 If you love quick and easy seamless desserts, you have to try this vegan Strawberry Shortcake with coconut whip! Great for a spring/summer gathering! 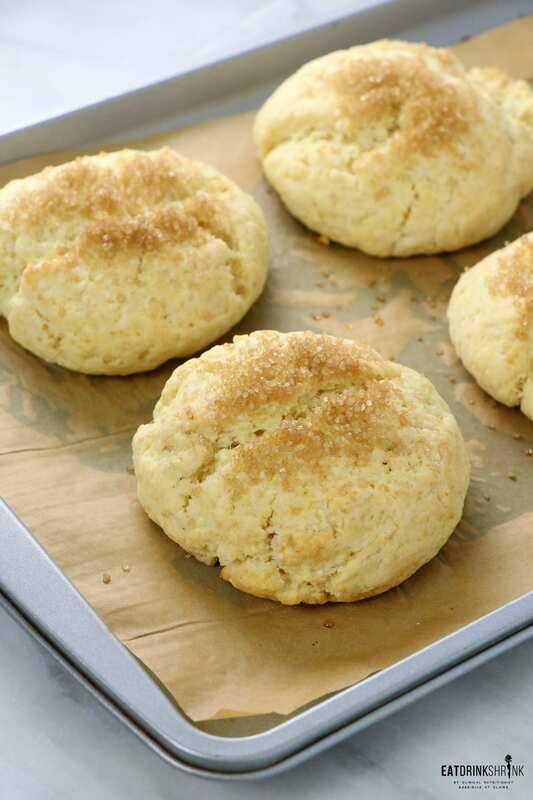 FOR THE BISCUITS: Preheat the oven to 425°F and set an oven rack in the middle position. Line a 13x18-inbaking sheet with parchment paper. In a large bowl, whisk together the flour, cornstarch, baking powder, baking soda, sugar, and salt. Add the pieces of cold vegan butter. Use your fingertips to rub the butter into the dry ingredients until the mixture resembles coarse crumbs with pea-sized clumps of butter within. Add the vegan "buttermilk: and stir with a rubber spatula until the dough comes together into a sticky, shaggy mass. Do not overmix. With lightly floured hands, form the dough into 8 craggy-looking balls and place on the prepared baking sheet. (They should be bigger than golf balls but smaller than tennis balls.) Don't worry about making them perfect -- it's better if they are a little rough around the edges. Sprinkle the tops with the turbinado sugar. 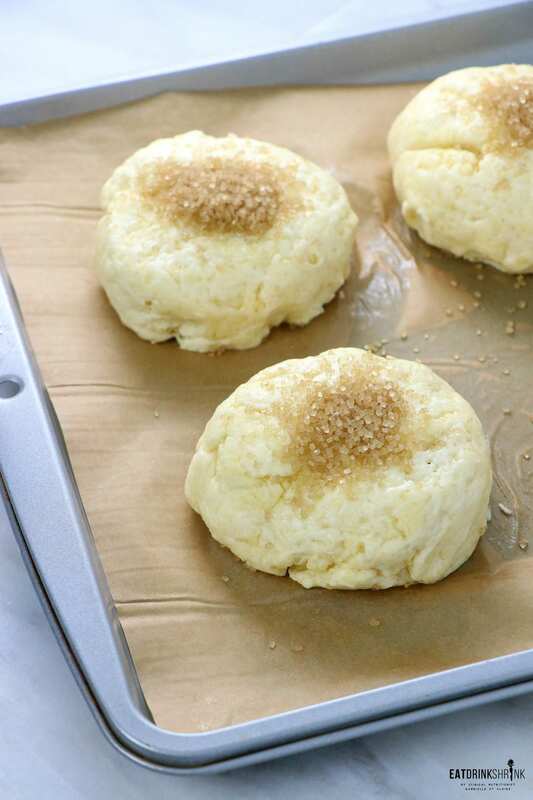 Bake for 13 to 15 minutes, until the biscuits are golden. 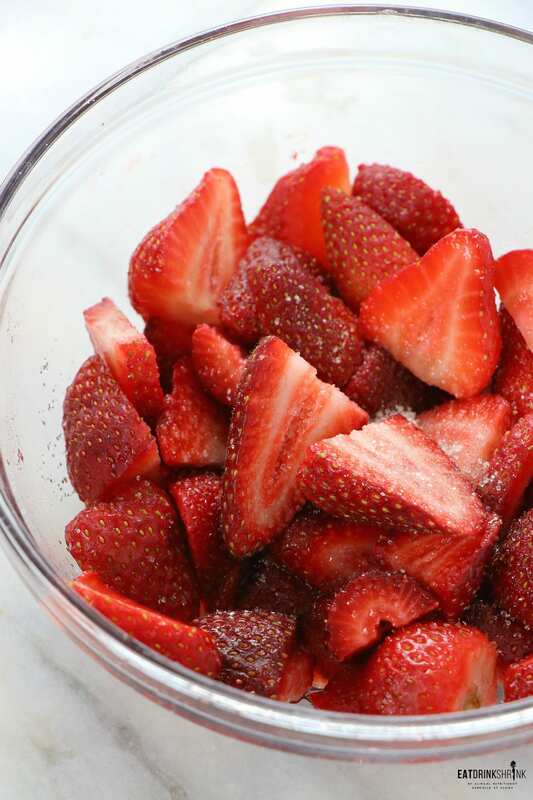 FOR THE STRAWBERRIES: Place the sliced strawberries in a bowl, top with sugar and lemon juice, combine and allow to sit at room temperature for about 10 minutes. TO ASSEMBLE: Using a serrated knife, split the biscuits in half horizontally and transfer the bottoms to 8 dessert plates. Spoon about three-quarters of the sliced berries and their juice evenly over the biscuit bottoms. Let some of the berries spill out onto the plate. Top with a generous dollop of coconut whipped cream and cover each with a biscuit top. 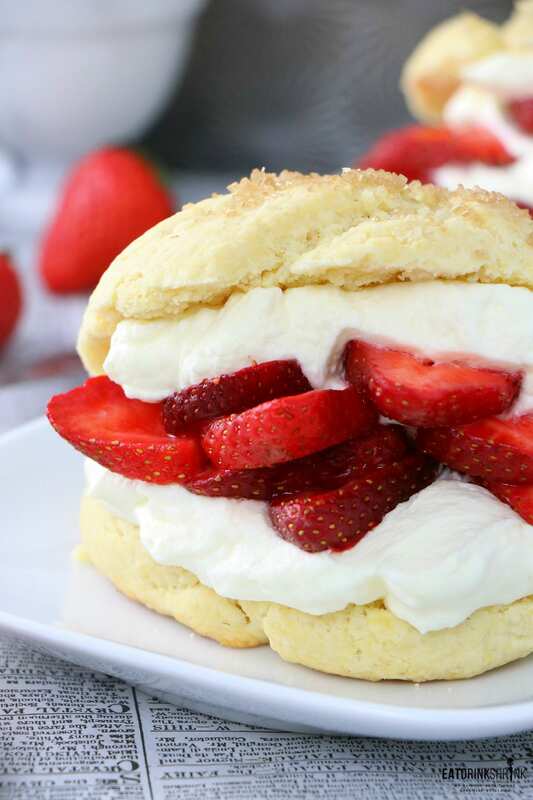 Spoon more berries and cream over each shortcake and serve immediately. For the Whipped cream: Add the ingredients to the bowl of a standing mixer. Be sure to add the solid coconut only. Beat until light and whipped. Cover and place in the fridge to chill until ready to serve. I didn’t see temp. 350? Hi Ann, Yes, 350. I'm going to remake this tutorial soon, stay tuned!